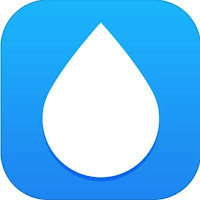 Apple are offering 'WaterMinder' by Funn Media as their Free App of the week. 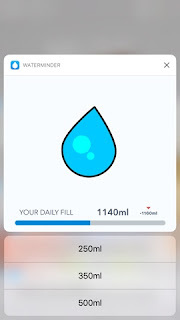 This is a simple app that records your liquid intake and reminds you via notification to rehydrate yourself. At the time of downloading the app, I already have 3 apps that I can use to keep a note of how much liquid I've consumed. I say "can use" because I've not really bought into that side of health and fitness, only tracking exercise, calorie consumption and weight. I was hoping that 'WaterMinder' would be the app that bucks the trend and helps me stay hydrated. I've found that 'WaterMinder' is a bit of a two sided coin, the integration with other health apps and Health on the iPhone is good, the dashboard and input screens are easy to use. 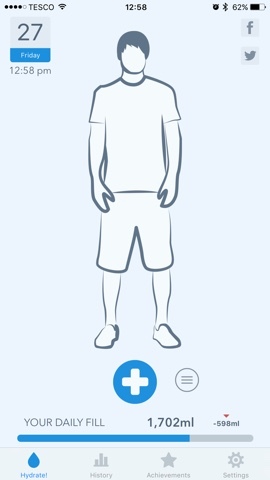 As you input additional drinks, your avatar fills with water and is sloshes about if you tilt your phone, a bit like the Carling app that lets you drink a virtual pint. 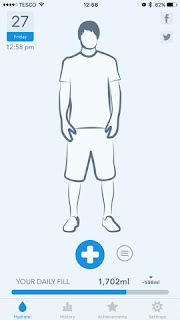 The app also has a section for you to read up on how to improve your hydration and I like the idea of badges that you can earn from meeting targets by drinking on consecutive days, weeks, etc. Unfortunately there are a couple of things in 'WaterMinder' that bugged me. It is missing a social aspect, there is a share to social media icon, but I would expect there to be a possible competitive element to the app, something that I think could be easily rectified. Also, there seemed to be a number of settings that I needed to change to be setup in the uk. An early question about your location could have removed this frustration for me. The final point is more about the apps place in the market. Yes, it's polished, the interaction is solid and it's easy to use, but there are a number of apps that will monitor your liquid intake and do much more by tracking a number of other measurements. 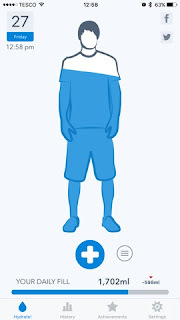 That being said, 'WaterMinder' has made me input my liquid consumption since I downloaded it, something other apps haven't been able to do, but am I going to keep it on my phone... Probably not. I don't think there is enough to it to justify using it over other established apps on my phone, which is a shame.